Bear, wolf, lynx, owl, forest and water birds. The tour is designed for real gourmands who are passionate about observing wildlife and photography. The tree days are packed with experience and photo opportunities of a lifetime. Watching and photographing bears from the hunting observatory designed for photo hunting is combined with experiences in learning and understanding the bear and other wildlife environment. 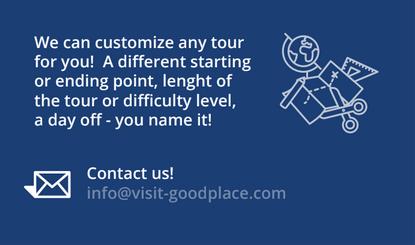 Understanding is crucial for a responsible visit, which is also the main objective of the tour. Excessive human contact with wild animals can have a number of negative effects on the animals, which is why a properly controlled and guided visit is even more important. 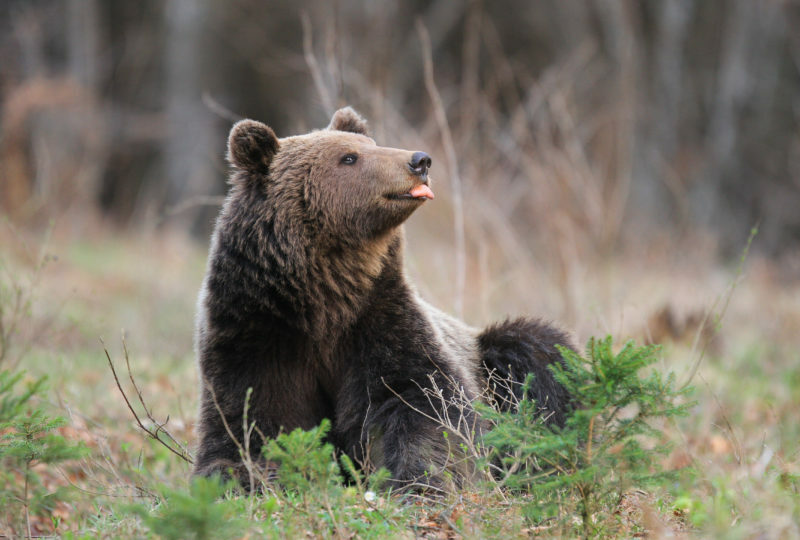 With the help of experienced hunters, guides and photographers, one can learn interesting stories and gain information that will place bears and other wildlife in a wider context. 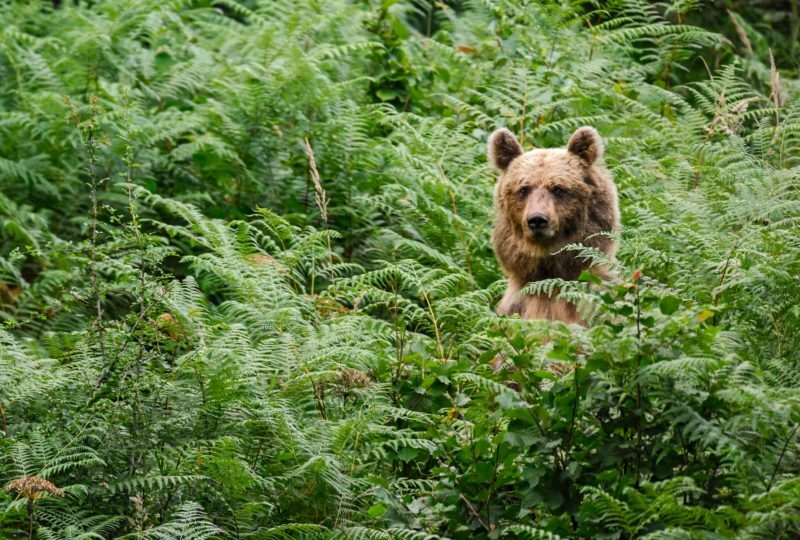 Slovenia is one of the few European countries where three large carnivore species can be spotted in their natural habitat, i.e. the brown bear, grey wolf and Eurasian lynx. 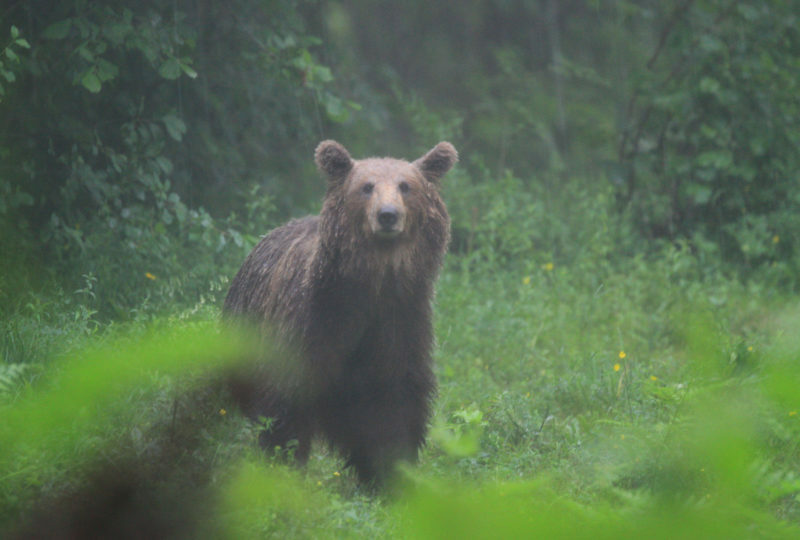 The brown bear population here currently stands at 400 to 500 individuals, which makes Slovenia a country with one of the highest brown bear population densities in the world. Most animals reside in Kočevski Rog, a densely forested karstified plateau extending over the Kočevje highlands. The karst landscape featuring abysses as well as eroded limestone pitted with sinkholes is covered mostly with beech and fir trees. There are six primeval forests preserved in Kočevje, with the total area of 220 hectares. 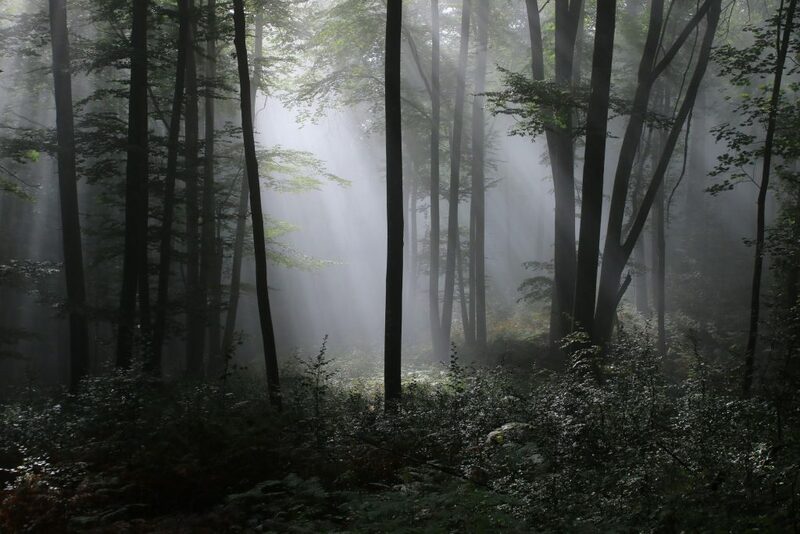 The primeval or virgin forest is a forest that has attained great age without any disturbance by humans, which means no trees have been cut or sawn down. Forests of this type have a significant meaning when it comes to teaching people about nature. In the Notranjska Regional Park, more than 270 different birds have been spotted, which represents ¾ of all bird species found in Slovenia. Out of this number, about 100 have nesting grounds in the area. The main landmark here is Lake Cerknica, one of the largest intermittent lakes in Europe. It appears every year on the karst polje (plain), caught between the Javorniki hills and the Bloke plateau on one side, and Mount Slivnica on the other. During the dry season, the lake disappears, which enables paddling, fishing, hiking or grass mowing in the same area in just one year. The importance of intermittent Lake Cerknica goes far beyond the Slovenian borders. Along with the Rakov Škocjan valley and the Križna jama cave, Lake Cerknica has been designated a wetland of international importance – a Ramsar Site, and a Natura 2000 Site because of its importance for the preservation of endangered birds. It was the Slovenian Karst that lent the name to the karst landscapes and phenomena all over the world, for it was here that scientists were first able to explain the numerous karst features. Speleologists discover new caves in Slovenia every year, and the number of the recorded ones now amounts to more than 8000. However, only about 20 of them are show caves. The magical attraction of the Križna jama cave is hidden in its little lakes. The underground lakes that are up to 7 metres deep were formed behind sinter barriers. The latter emerged because calcareous sinter gets deposited faster in rapids than in slow waters. The traditional cuisine experience complements the entire programme. We developed this unique programme in collaboration with the Life DinAlp Bear project and the Biotechnical Faculty of the University of Ljubljana, according to sustainable tourism standards and with the smallest possible impact on the environment, especially the wildlife. The adventure starts in the town of Kočevje at the heart of the Kočevska region. An experienced and specialized guide will first present the entire program and explain everything the group members need to know before entering the bear land. The tour mostly follows the route of Roška pot, a 60 km trail through the solitude of the virgin forests and their surroundings. Since it is quite an endeavour to travel the entire trail in one day, only some of the highlights will be visited. 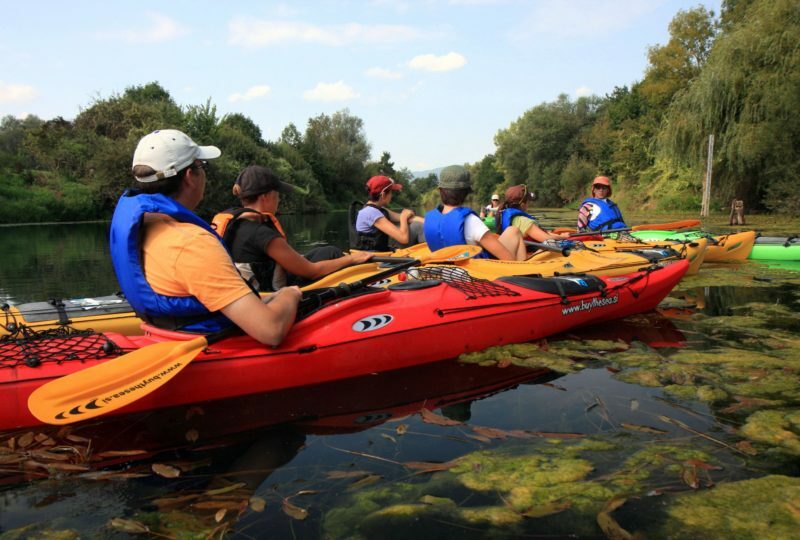 Lake Kočevje is a man-made lake of superior water quality and a great place to slow down and relax. The Željnske jame caves is a 1600 metres long horizontal cave system of the Rudnik brook with several entrances. The walls are only a few metres thick, which explains the shallow shape of the caves. What used to be a single cave was later split into three parts by numerous landslides. The best-known cave in the system is the Gipsy cave. Over 1400 ancient objects were found in this cave, attesting to the fact that humans lived here 20,000 years ago, during the Ice Age. Rajhenavski Rog is a primeval or virgin forest. As early as 1892, the forest became the first natural area in Slovenia to receive official protection when 51 hectares of virgin forest were sectioned off and named after the settlement of Rajhenav. The area, which features mostly beech and silver fir trees, serves as a habitat for many wild animals, especially birds. One can almost feel the connection with prehistoric times here, as the tranquillity of centennial giants tends to invoke inner peace. There is the highlight of all highlights to be seen here, namely a European silver fir tree (Abies alba) called Kraljica Roga (Queen of Rog). Measured at a height of 1.30 metres, the girth of the tree stands at 5 metres, while the entire tree is around 51.50 metres high. The Queen of Rog germinated around the year 1500, give or take 30 years. 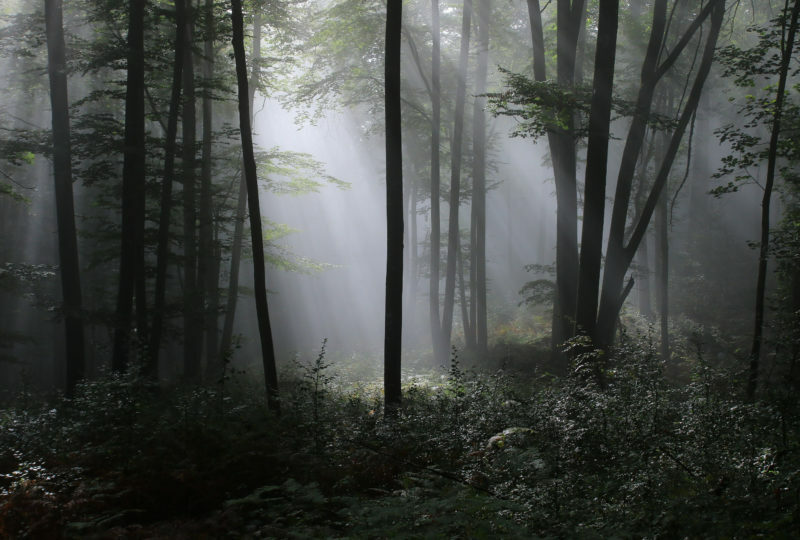 The guide will take care of all photo enthusiasts and show them the hidden corners of this mystical forest. In the evening, a hunter guided observation of bears will be organised at the hunting observatory. 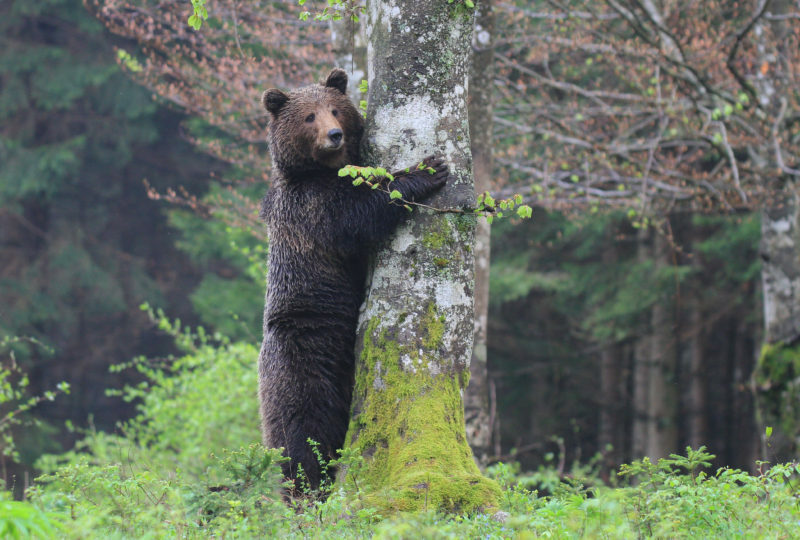 The best time to observe bears is late in the afternoon, just before dusk. The visitors have to sit in absolute silence inside the station and wait for the furry creature to pass by. Since bears follow more or less the same routine every day and are used to frequenting the area around the station, they almost always appear to visitors. If the weather conditions are unsuitable, the observation will be postponed to one of the following days. 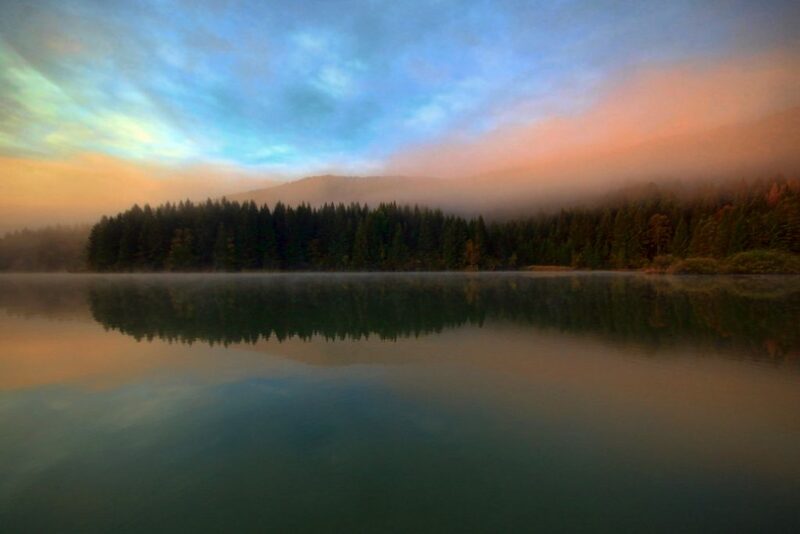 Mountain peaks with breath–taking views, colourful meadows, an intermittent lake, natural bridges, the mystical underground world, crystal-clear streams and magical forests – all this can be found on 222 square kilometres of the Notranjska regional park. 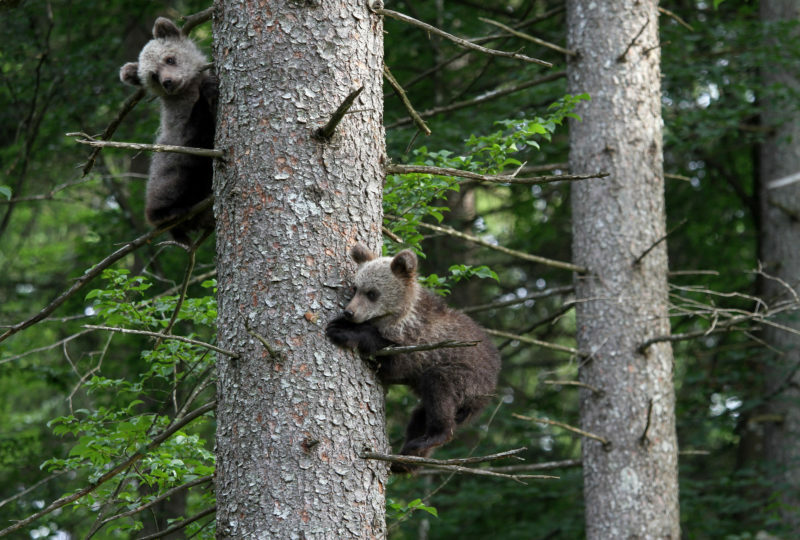 The Notranjska region is also one of the Slovenian regions where all three beasts – the bear, the wolf and the lynx – can be found in a single habitat. Lake Cerknica, one of the largest intermittent lakes in Europe, is probably the best known landmark of the region. The lake appears every year on the karst field of Cerkniško polje. With the lake disappearing during the dry season, the terrain allows paddling, fishing, hiking and grass mowing within the same area in a single-year period. The lake normally stays on the Cerkniško polje field for approximately eight months in a year. When the bed is full, it becomes the largest lake in Slovenia. The museum of Notranjska regional park is the best place to learn everything about the remarkable phenomenon of the Karst intermittent lake. The guide will present the secrets of Karst phenomena in detail and take the group on a guided bird photo hunt by Lake Cerknica. As many as 94 species of birds nest in the area (among the most rare and endangered species are the corncrake, white-tailed eagle, bittern, whinchat, yellow wagtail, red-necked grebe, northern shoveler, common redshank, ferruginous duck, Eurasian curlew and scarlet dragonfly), and over 270 bird species have been spotted in the area. 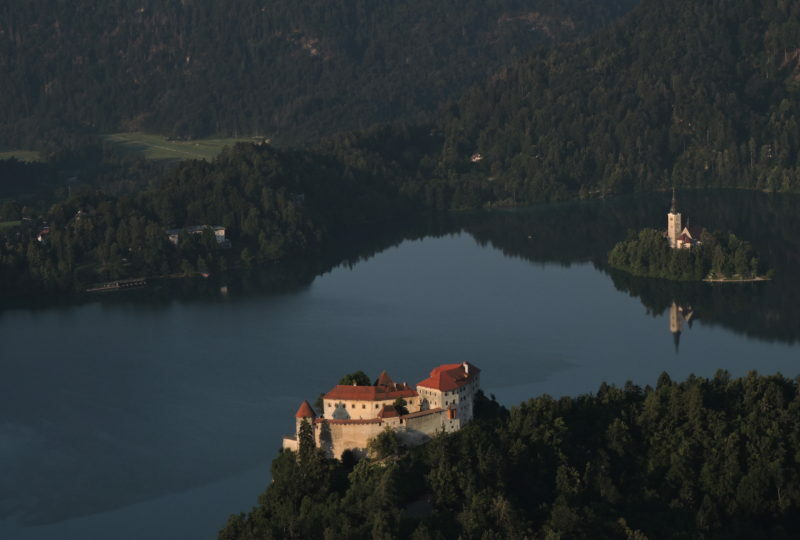 Did you know that Slovenia is literally the land of karst? It was the Slovenian Karst that lent the name to the karst landscapes and phenomena all over the world, for it was here that scientists were first able to explain the numerous karst features. Speleologists discover new caves in Slovenia every year, and the number of the recorded ones now amounts to more than 8000. However, only about 20 of them are show caves. Both the Kočevsko and the Notranjska regions are karstic, so the tour inevitably goes under the ground at some point. The Križna jama cave is one of the most beautiful tourist water caves in Slovenia. As many as 22 emerald lakes are connected by a crystal-clear underground stream, ancient bones of cave bears can be seen within side passages, and by the number of its wildlife, the Križna jama cave ranks among the richest caves in the world. It is also the seventh longest cave system in Slovenia. Although people have been visiting the cave ever since the Neolithic Era, its true long-time master used to be the now extinct cave bear. Travel and activity insurance, personal safety and hiking equipment, any other items not mentioned as included. The “In the Heart of the Bearland” programme starts and ends at the town of Kočevje, which is located in the southern part of Slovenia. 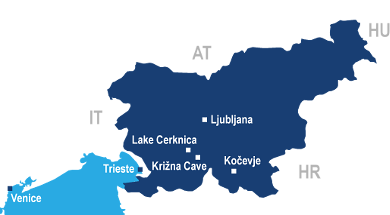 There are 3 international airports (Ljubljana, Zagreb and Trieste) within a maximum distance of a 2.5-hour drive from Kočevje. Transfers can be arranged from any of these airports and from Ljubljana. Please contact us if you would like us to provide one for you.